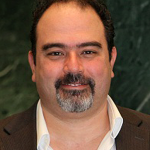 Dr George A. Tanteles (MD DM Paediatrician / Senior Consultant in Clinical Genetics CCT(UK)) is a Senior Consultant in Clinical Genetics at the Cyprus Institute of Neurology & Genetics (CING). Dr Tanteles qualified from the University of Patras, Medical School and initially trained in Paediatrics both in Greece and in the UK, completing his specialization in General Paediatrics in 2004. He then went on to specialize in Clinical Genetics in the UK, where he completed his training in Newcastle and Nottingham and worked as a Consultant in Clinical Genetics in Leicester until 2011. He obtained his doctoral degree (DM) with distinction from the University of Leicester. Dr Tanteles is currently the Head of the Clinical Genetics Clinic at CING (ITHACA-ERN Eligible Clinic / Status: Full member). His research interests include the elucidation of the genetic basis of rare monogenic disorders, dysmorphology, skeletal dysplasias and the genetic basis of abnormal radiosensitivity. He participated as principal or co-investigator in a number of research projects and is the author of more than 50 peer reviewed scientific publications.